Chalet Le Cabri and Tane Le Chien. With snow. I'm lucky. One of my best mates runs a chalet business in the French Alps. I know, it's tough, but someone has to go and see her. Angela and Damian always look after us when we go over there and now their company, Morzine Retreats, is launching a brand new chalet. 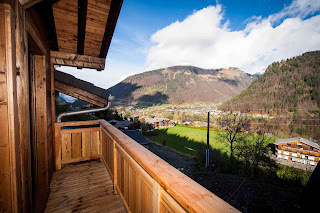 Chalet Le Cabri has spectacular views across the valley. The view. Not bad, eh? 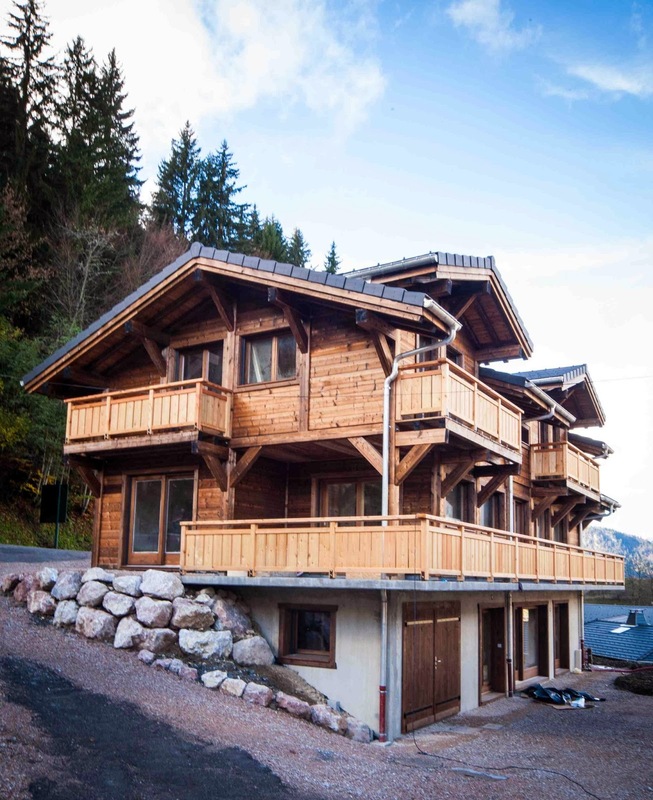 It's 600 metres from the centre of Morzine - a bustling town packed with bars, restaurants and shops - which is part of the Portes du Soleil region in the Haute Savoie. The ski bus stops right outside. If everyone wants vin chaud at lunchtime, pas de problem. 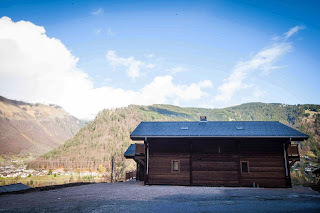 But for those that drive, the chalet has ample parking. There are five luxe bedrooms, all en suite. The massive open plan living and dining space has an open plan kitchen. All very sociable. 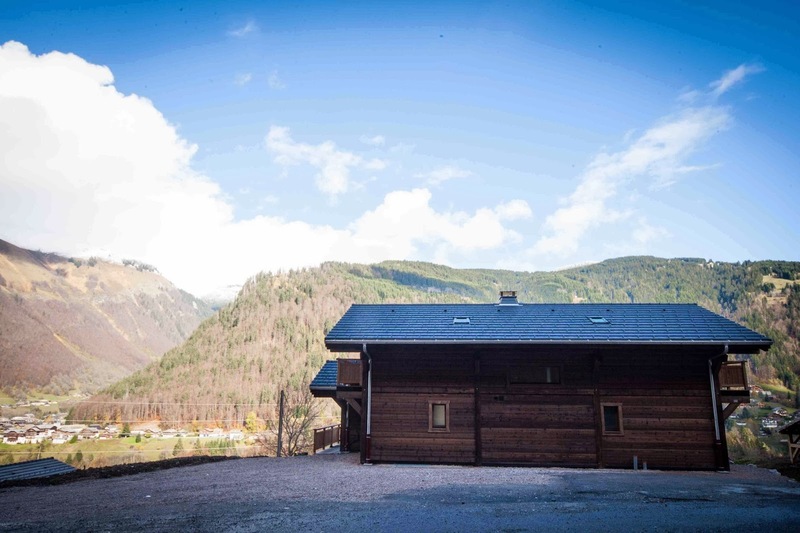 The style is the best of traditional alpine with a modern twist. Gone are the cottage cheese textured plaster walls. In comes a palette of slate grey and natural wood, with modern fittings, luxury soft furnishings and contemporary appliances. As you'd expect, Le Cabri will have all mod cons: wifi, iMac, satellite TV, outdoor jacuzzi. You get the picture. I'm particularly looking forward to the rotating feature log burner. With underfloor heating, the place will be toasty warm. I'll add more pictures of the interior once they're available. But why this post? Because they've always looked after us, year in, year out. So we want to give a bit back and help promote the new Chalet. 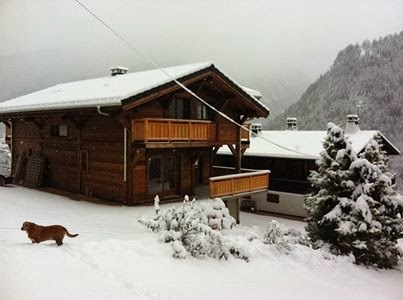 We want everyone we know who's thinking about a ski holiday to consider Chalet Le Cabri. I want Angela and Damian to have a rip roaring first season. Eight weeks are already booked out. It's started snowing already. The season is going to be amazing. 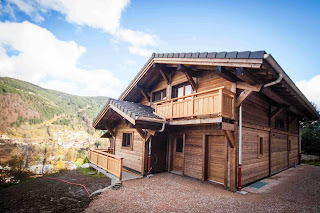 Think about spending a week in Chalet Le Cabri. Full details are on the Morzine Retreats website. Say hello, ask questions and follow news updates via their Facebook page.